John Bogle’s humble approach to investing was an affront to the wisdom of Wall Street. Realizing that few stock pickers could outperform market averages in the long term, he founded Vanguard Group in 1975 to sell index funds—broad stock portfolios structured to mirror a yardstick such as the Standard & Poor’s 500. “Don’t look for a needle in the haystack,” Bogle said of his strategy. “Just buy the haystack.” With no high-salaried investment managers to reimburse, Vanguard’s fees were far lower than those of its competitors. That meant fund investors—who also collectively owned the business—got to keep more of their profits, paying an average of only 0.1 percent in annual expenses. Many active funds charge 1 percent or more. 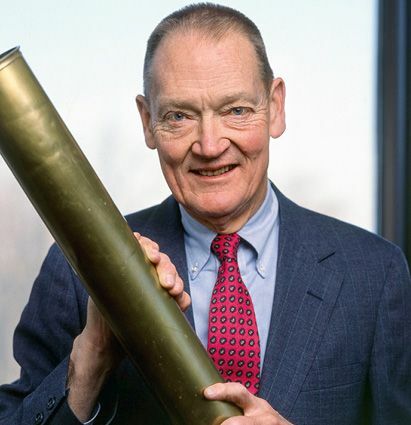 “In investing,” Bogle said, “you get what you don’t pay for.” That cost-efficient approach has made Vanguard a market giant: It is now the world’s second-largest fund manager, with $4.9 trillion in assets.